Intent: ​To create a sister planet to Nibelungen, that fits the description of the planet attacked by the The Ancient Eye in their first faction thread. Also to additionally to flesh out this section of the map. This planet was also now serve as my characters [Tathra Khaeus] home and as a staging ground for any future Bryn'adûl operations. Eclipse of Nibelungen: The Ancient Eye Faction thread that details the TAE forces attacking Nibelungen her moons and sister planets. This includes Edemar, detailing the destruction of a Jedi Fortress on the planet. Civil Gambit - Edemar: TAE Faction thread on Edemar, hunting down Jedi Council members and learning more about the Warrior like society on Edemar and their system of living. ​When You Have No One: Tathra Khaeus faces the restless spirits of the Jedi, magnified by an attempt to bleed the many crystals of the fallen. Instead, wrestling through a journey of reflection and strife. Finding himself renewed in the dark. System Features: One sun, two sister planets. (Selemor & Antama), four moons. Major Exports: Edemar has much to offer, in regards to various mineable ores. It has silver, iron, Durasteel and many other exported components. Besides from these exports, the others only concern the Bryn'adûl, whom export weaponry, vehicles and various other types of military equipment and personnel. Climate: Extreme, due to the placement of Terraforming machines by the Bryn'adûl. They intended to make the planet inhospitable for any remaining stragglers who'd survived the sacking of their cities. Primary Terrain: Barren and rocky lands, ruined empty fields and massive mountians. ​Camaria, the highest peak in all of Edemar was once a spiritual place for their people. Now, it is a relic of their past. It serves as a hunting ground for various predators and hunters. Very recent ruins of the old civilisation that once oversaw a massive portion of the planet. When Tathra Khaeus returned to Edemar to find his subjects had moved on, his malice washed over them like a great tide. Tathra quarantined the planet, and wiped out the remaining population before allowing the Draelvasier to move in. 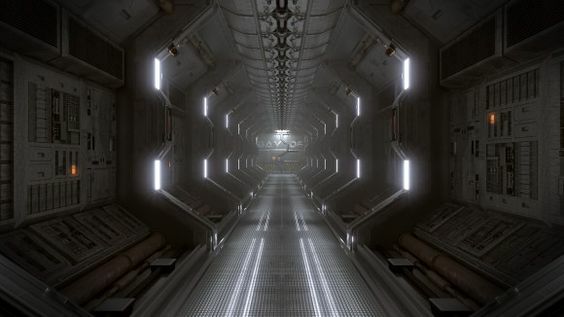 The Motus is a planet wide tunnel transportation system that can transport anywhere between two to three hundred people in total to the different major locations across the planet. The facility is a state of the art transportation system that is used by government officials, members of the priesthood and military forces. Mortem is the home of the Chieftain of the Bryn'adûl. A humongous facility in the barren desert regions of Edemar; outfitted with high level security defences and defended at all times by elite Bryn'adûl Brutes. Mortem holds the Throne of Want, the seat of power for the Chieftain of the Bryn'adul. Mortem also serves as a secret city, rebuilt into a massive mountain, hidden within the thick mountain rock. Intent: Tathra Khaeus alone destroyed the Jedi Fortress on Edemar, following the battle he robbed the kyber crystals from the blades of each Jedi, using his darkness, his unbridling hate to Bleed the crystals, using the art of small to misshape and force the Throne of Want into creation. It is a throne of power, a focus of force energy of a malevolent and vicious nature. The Throne is a focus of power and reminded of the War-Chieftains past deeds to those who come before him, and serves as a suitable seat of power for such an individual. The Throne, appears alive to the touch and to be filled with a turbulent rage that effects those within its presence. However, this deep seated rage is seated deep within the eye of the storm, engulfed in a numbness, a unnerving content with endless death. There is no inherent culture on Edemar, that was wiped out with the Ancient Eye. The planet now serves as a fortress for the Bryn'adûl and as a training ground for the Crusaders within. Freedom & Oppression: There are no citizens to oppress and the Draelvasier all exist under one unified banner. Freedom exists to the extent of which they understand it to be relevant in their lives. Each member of their race serves a purpose. Their order is unyielding and strong. Freedom is a concept and oppression isn't necessary. Military: Previous to the conquest of the Ancient Eye to Nibelungen and it's neighbouring planets, the Military power of Edemar was meagre, the world was dotted by villages with basic technological defences. Anti-Air turrets, ect. However, upon conquering the world; The Ancient Eye immediately began to set up the world as a Fortress World. Setting up massive anti-air battery sites across the world, dedicating resources to the instalment of a massive Anubian inspired fortress. (See Mortem) as the home of the War-Chieftain. Upon his return, now simply as the Chieftain of the Bryn'adûl. Edemar was stripped down to the bone, leaving only its military components intact. Technology: The planets solely technological focus is that of militant purposes. However, this planet no longer belongs to an Empire. Whilst the technology is formidable, it solely belongs to a Private army. Therefore, whilst it can be defended it can't all be maintained. There are various defunct relics of the Ancient Eye that exist on the planet. The Planet was originally settled by humans thousands of years ago lead by an autocratic order of Jedi who wished to be seclude themselves in the depths of space away from the conflicts and worry of the Galaxy. The planet was terraformed following the colonisation of Nibelungen, alongside Erebus and Lowick. Various species began to populate Edemar as wide space became more accessible to the galaxy. For the longest time, Edemar was left unscathed by the Galaxies wars at large and lived in a peaceful prosperity following a warrior like society under the tutelage of the Jedi. Since then there has been one major event that changed the history of Edemar forever. The Eclipse of Nibelungen saw the attack of Nibelungen, Erebos, Edemar and other nearby planets by the newly formed Ancient Eye. Edemar was home to the Jedi order that acted as governors and overseers for the populaces of these various planets. Whilst the Jedi were spread across the planets under their control, Edemar was their place of worship. They shared a strong connection with the force on the planet, leaving the majority of the world untouched by industry. Until recently the majority of land was left unscathed, however the Ancient Eye immediately began to industrialise Edemar and forced the populace easily into a form of servitude, and soon following many began to conform to their ways. Edemarians were always tough, warrior-like and ready to fight. This was complimentary to the way the Ancient Eye worked in its entirety. The majority of Edemarians were easily able to translate a majority of their skills to their new world order, allowing production, exports and imports to continue almost instantly. When the Ancient Eye was destroyed, their influence was lost and it left a power-vacuum on the planet, infighting became spread across the entire planet as the Ancient Eye's infrastructure collapsed without their ability to enforce it. Upon Tathra Khaeus' return, he found his new home tarnished and broken. The Bryn'adûl Crusaders set upon the planet, wiping out the populace of the planet and starting anew. The only remaining structures on the planet were the transportation system and Tathra's fortress. Otherwise, all military facilities have been refurbished for Bryn'adûl use. Edited by Tathra Khaeus, 11 October 2018 - 02:09 PM. My apologies for the wait, before your submission was picked up. I am still reading through the sub itself, but one thing I did notice is that all your image links seem to be broken? They all lead to 404, you might want to fix that while I am going through the rest. Also- I am going to need you to actually hyperlink the references in your image credit as well. For posterity and uniformity. The third one links back to Chaos for some reason? Also, your first image is referencing pinterest. I usually allow those when they link back to the original author anyway, so it would be busy work to make you edit that, but here it links to a google page. Please try and find the original image page or author, if possible. If not let me know and we can take it from there. I also need you to hyperlink back to the minor faction this planet is affiliated with and also the species submissions themselves for reference. As for the Nexus- does it do anything else besides inspire anger in everyone around it? I looked for the original author/image for the first image to no avail. This is the third or fourth time I've tried to find it. The third one, I switched it to its pinterest link however the link to the site its from is on there. The nexus doesn't inspire rage exactly, it makes people anxious/uncomfortable because it's like looking at a storm with no sound up close. Meant to be unnerving. Alright, for the most part this looks fine now, the force nexus is only area focused and doesn't provide any huge boons or anything, so that's okay too. One question- you mention Nibelungen a couple of times in your submission and call Edemar the sister-planet to it. Now, I am aware that the Ancient Eye conquered the system Nibelungen is in, but the system only had one planet and a handful of moons. I am assuming this sister-planet is not in the same system as Nibelungen then? Took me a bit, but I managed to track down the original artist for the first image. Here you go. Switch out the links and I will stamp this after that. Thanks for working with me to get this thing approved. Looks cool now. Returned to Pre-Codex for edits. Let us know when you are done and it will be moved to Codex for live judging. Please add the Demonym field under the general information section. As per the template, I'd like to see a brief explanation for these particular ratings.